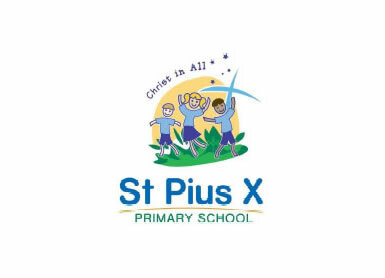 St. Pius X School is a Catholic Primary Systemic School administered by the Brisbane Catholic Education Centre. As a school community, we embrace Christ as the central focus and strive to live the Gospel values. We will provide a quality educational experience that challenges students to take ownership of their learning in a caring, secure environment which fosters their holistic development. Discover a Pre-Prep to Year 12 college where your child will be inspired, equipped and motivated by caring, dedicated staff and teachers. Brisbane Christian College is committed to providing and maintaining the highest professional standards in both the marketing and delivery of its education program. This includes safeguarding the welfare and interests of all students, providing adequate facilities and resources and using appropriate and effective methods of instruction. These principles are embedded within the College’s mission statement. That our students will become contributing and resourceful members of their community, living lives with dignity and care for others. St Augustine's Parish School is both multi-religious and multi-cultural. Our belief that all people are created equally by God means that all children and families are given the same special respect and care regardless of race, culture or religious/non-religious background. This is one of the great strengths of our school as it is a core Christian belief that we are all children of God who deserve special care. We have educated children for over 60 years and our teachers offer exciting and engaging ways for children to access their curriculum. Brisbane Christian College is a Pre-Prep (Kindergarten) to Year 12 private school based in South Brisbane. Brisbane Christian College draws out individual students' qualities that makes each of our students unique. Whether in the classroom, on stage or the sports field, our student thrive in their talents. The Brisbane Christian College holistic approach, matched with our classroom sizes, ensures that every student is known and cared for. AT BRISBANE CHRISTIAN COLLEGE YOU WILL DISCOVER A PRIVATE SCHOOL IN SOUTH BRISBANE WITH: 1. A Pre-Prep to Year 12 Private school Brisbane community that is warm, inviting and a place to belong! It takes a community to raise a child and we cherish open communication and parent involvement. 2. Excellence in teaching that is nurtured through regular staff training, a collaborative approach and partnerships with organisations such as the Grattan Institute, several Queensland universities and apprenticeship partners. 3. Holistic education that provides numerous opportunities to sing, act, present, perform, excel in sport and display talent on different platforms. Every student has a voice and chance to participate. 4. Value driven leadership. The College House system provides students with mentoring and accountability while Pastoral Care help students grow in resilience with ongoing support. 5. Education that is Christ-centred. Regular devotions, Christian based teaching, clubs and a College Chaplain all support our Christian values.